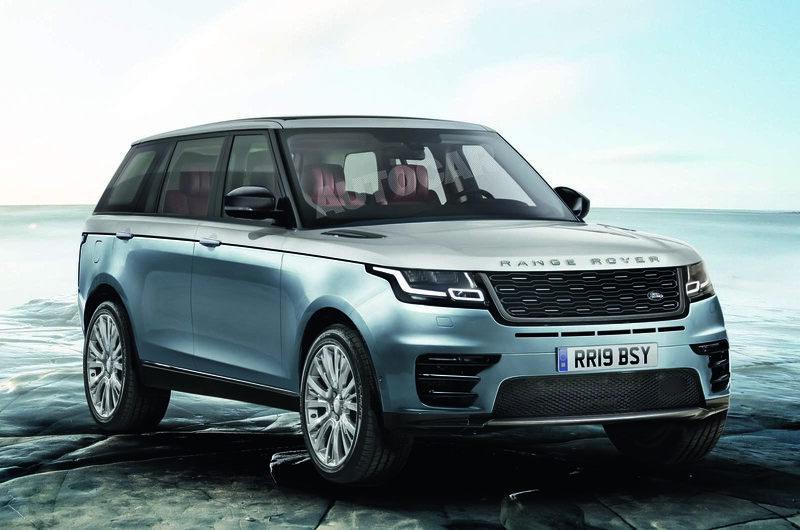 Jaguar Land Rover (JLR) has embarked on a massive programme of investment in new models that will enable the company to expand its line-up by four new or returning nameplates by 2023, launch 99 new model variants and replace every current model by 2024. As well as the I-Pace, JLR will roll out the all-new Defender, the super-luxury Jaguar J-Pace SUV and a more road-biased Range Rover ‘Allroad’ EV as the four new models. First out of the blocks in this new era for JLR will be next year’s all-new Range Rover Evoque, which will include in its line-up a highly economical plug-in hybrid version with a CO2 rating of just 45g/km. The new Evoque sits on a heavily modified version of the current steel platform, but the new strategy should eventually see future all-new JLR models based on the same aluminium platform, know as the MLA (Modular Longitudinal Architecture). This new rear- and all-wheel-drive architecture will allow vehicles to be offered with petrol and diesel mild-hybrid engines, plug-in hybrid tech and a pure battery electric set-up. JLR is also addressing the issue of diesel pollution with a new generation of Ingenium diesel engines that convert up to 98% of NOx emissions into harmless gases and are much cleaner than new pollution regulations require. All new models will be powered by one of three base Ingenium engines, including a new three-pot unit and a new straight six. Electrically powered turbochargers (which improve both economy and throttle response) will be standard on future petrol and diesel engines, allowing a downsizing of JLR’s engine range. V8 engines will be dropped and replaced by high- performance versions of the new Ingenium straight six. JLR management is also investing significant effort into connectivity. All future vehicles will be connected to the web 24/7, allowing updated engine software to be automatically downloaded and JLR to monitor vehicle performance and send owners information on unscheduled servicing. The first of these cleaner, greener and higher- performance JLR models will be the second-generation Evoque, which should arrive in showrooms in early 2019 after a debut at the Los Angeles motor show in November. According to official JLR documents, the Evoque 2 platform has been significantly upgraded from the current model’s, justifying the new Premium Transverse Architecture (PTA) name for its steel structure. The company claims the Evoque 2 has “better ride comfort” thanks to a new, stiffer body structure. Refinement has also been significantly improved, JLR claims, aided by a 10% reduction in drag and wind noise thanks to improved aerodynamics. Luggage space has also been improved by 10%, something that carries through to the plug-in hybrid version because the battery packs are mounted under the floorpan ahead of the rear axle. The Evoque 2 will also be the first Land Rover model to get the extraordinary ‘see-through’ bonnet technology, shown as a prototype four years ago. It combines under-engine cameras with head-up display technology to overlay a virtual reality image into the driver’s view of the ground hidden by the car’s nose. JLR says the car will also get a ‘smart’ rear-view mirror. The move to electrified Ingenium engines will, according to the JLR briefing, reduce the overall CO2 output of the Evoque range by around 13%. These engines, along with a new engine mount design and a new shift programme for the transmission, will improve throttle response by 40%. The Evoque eco champion will be a plug-in, which uses a 300V hybrid set-up coupled with a new three-cylinder Ingenium diesel engine for a 45g/km CO2 rating. This, says JLR, exceeds the new Chinese standard for ‘new energy vehicles’, which car makers are clamouring to achieve due to the huge sales potential from China’s desire to lead the world on electrified vehicles. The new Evoque structure and transmission families will eventually be transferred to the Land Rover Discovery Sport and Jaguar E-Pace. Autocar understands the Discovery Sport will be the second model to transfer to the PTA platform, the availability of hybrid drivetrains considered crucial for Land Rover’s bestselling model. The current JLR plan is to eventually build all of its future models on the new MLA aluminium platform. This promises to be a remarkable piece of engineering that will allow any configuration of vehicle, from turbocharged three-pot petrol to a high- capacity electric car, to be built from the MLA components set. The plug-in version of the MLA will have a new all-wheel-drive system that uses an electric motor to power the real wheels. MLA will be lighter than the current JLR aluminium architecture, a big advantage when moving to plug-in hybrids. It will also usher in more driver aids. With the multi-fuel MLA platform set to go into production from 2020 in Slovakia and Solihull, JLR will establish a significant lead over its German premium rivals. For example, the upcoming Porsche Taycan EV is built on a unique one-off platform that is acting as a stop-gap until the Volkswagen Group moves to multi-fuel platforms. JLR has developed its own bespoke EV architecture for the Jaguar I-Pace, but this will be the only JLR car built on it, with all future models switching to MLA. 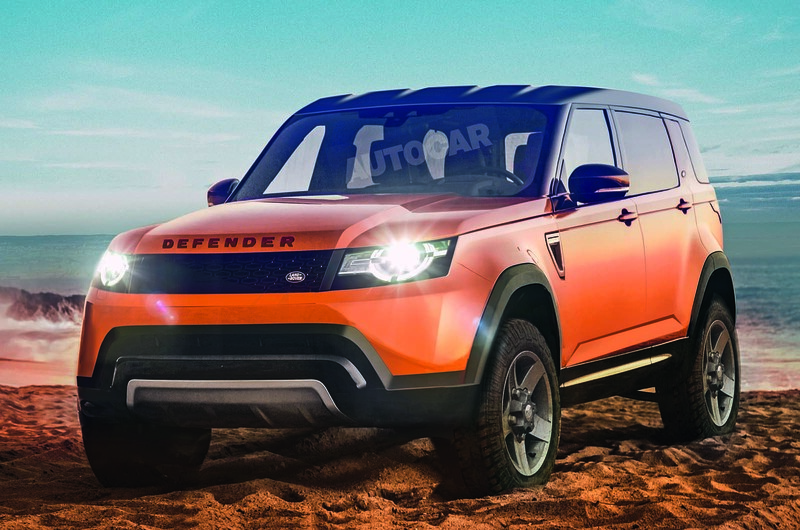 First up on the MLA platform will be the long-awaited new Defender. Its extended development cycle now makes more sense because its launch had to coincide with the new architecture. It will be made at JLR’s new Slovakian plant from 2020, alongside the Discovery 5, which itself starts full production in Nitra this year based on the existing aluminium underpinnings. The space made available at Solihull with the relocation of the Discovery is expected to be filled later in 2020 by the new Jaguar J-Pace, a large super-luxury SUV also based on the MLA platform. Autocar understands that the next XJ is also set to make use of the electric version of MLA. 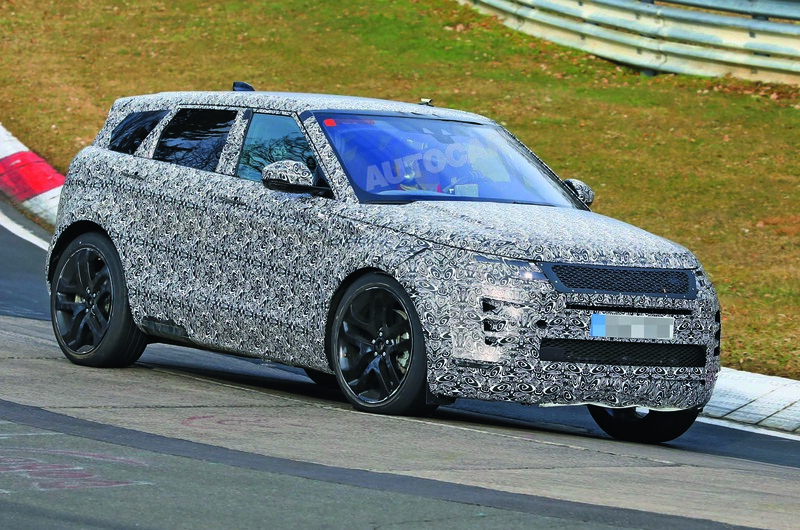 The all-new Range Rover will be held off until 2021, later than the 2019 date first believed. Autocar understands that the first new Range Rovers will get 48V mild-hybrid Ingenium petrol and diesel engines and that the fully electric version is not expected before 2022. It will be aimed primarily at buyers in Asian megacities. The new road-oriented Range Rover ‘Allroad’ EV – which won’t be launched under the internal Road Rover nickname – is scheduled for 2022 onwards. However, Autocar understands the model is not set in stone. A downturn in the global economy or a further collapse in global estate car sales could yet kill it off. 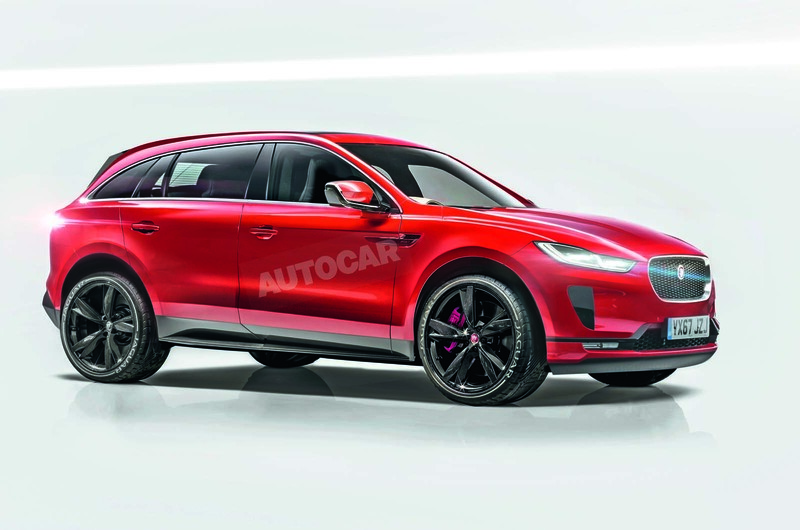 According to official documents, the all-new Evoque, Discovery Sport and E-Pace are scheduled to be built on the aluminium platform from 2025 onwards. However, Autocar has learned that this decision could also yet change. Switching to MLA would mean the Evoque and E-Pace would have to grow noticeably because of the need for a longitudinal engine layout. 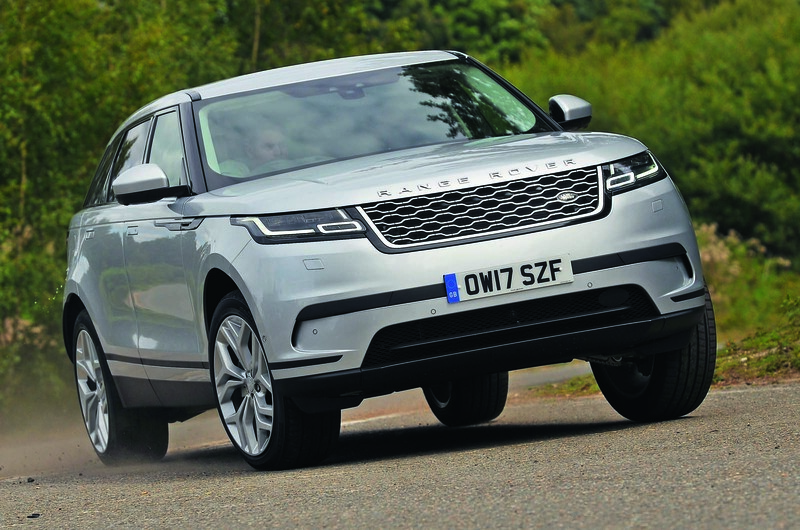 If JLR bosses decide to keep the two cars as compact as possible, they will have to invest in a stand-alone platform for the Evoque, E-Pace and Discovery Sport, which would have potentially uneconomical annual volumes of 260,000- 300,000 units. Great to hear JLR are planning to tackle the diesel pollution problem by making more diesel engines. Do these new generation ones only give you lung cancer? CO2 does not cause cancer. If NOX and particulates can effectivelt be removed, then there is nothing in the exhaust to cause cancer. If NOX and particulates can effectivelt be removed, then there is nothing in the exhaust to cause cancer. They claim 'up to 98% of NOx emissions into harmless gases"... So at least 2% still there (which in itself is unacceptable for a long-term goal) and that's before I've even fired-up the bull****-o-meter. If these claims are made by a company heavily invested in diesel technology, I'm not buying it. What has become of the sub Evoke SUVs? Last year's big story was small SUV. Has this plan been quietly buried under an imperative to push Range Rover further upmarket to face off Bentley and Rolls? A small SUV could still play a role in the Discovery range and/or an entry level Land Rover. However, every premium and volume brand will be active in this area so perhaps margins won't be great. The product would be costly to develop to maintain the brands expected positioning as the most capable off roader in a class. Where will JLR get the money from for these grand plans? Last week Tata shareholders, after learning that Jaguar had lost money in Q1 were pressuring their board directors to spin JLR off. They were not prepared to sink any more money in a company that is struggling with numerous issues. What rubbish, there was never any Pressuring of board members to spin it off, especially as the majority is owned by one person, and the company funds its self, and has done since 2010, they were fully aware of the loss that would be incurred in the Quarter just past, and allowances had been made for it, afterall, they have move production, from the UK to Slovakia for D5, and the launch of the new E-Pace and I-Pace, as well as Velar, all of these new models are out stripping production capabilities at the moment, as well as the Evoque and DS, still selling huge amounts.Why people just have to bash the company when they have clearly turned the entire brands around in such a short time, look how long VW had SEAT and Skoda before they started to make money, decades, in SEATs case, SMART has never ever made a profit for Mercedes, yet no one wants them all sold off or shut down, why not just get real and accept it for what it is, a great company, doing really well, all over the world, and still with significant models to come. This would be seen as pressure on the board no matter how JLR choose to spin their recent performance, check out Land Rover sales last month! I know JLR have reported losses for the first quarter but Tata motors have been in the news for several years with no success of their own to cheer about so why all the doom and gloom. I thought JLR had been immensely profitable in the last few years and had been completely self sufficient... I’m sure I once read that JLR’s profits were actually propping up Tata motors. I hope JLR finds its feet again soon because a lot of the midlands economy will be depending on the fortunes of such a big company. If they get out of shape it’ll be a good barometer for how bad Britain’s financial situation is. The brexit was quoted as being a significant issue. I would love there to be another referendum as I think we’ve got nothing to win and a lot to lose. The company has £3.9bn of debt. UK interest rates have recently been raised. The company's credit rating has recently been downgraded.